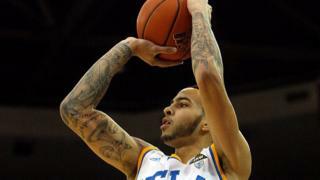 Basketball player Tyler Honeycutt has died after a shootout with US police, local media report. The Los Angeles Police Department said an unnamed suspect appeared to have died of a "self-inflicted gunshot", after reportedly firing on officers. US media report it was the former Sacramento Kings player, who was on contract for Moscow's BC Khimki. Honeycutt's mother reportedly called the police because her son was acting "erratically". His team confirmed his death on Twitter after speaking with his agent. Police responded to the call at about 17:00 local time (00:00 GMT) on Friday. According to the LAPD, the suspect, who they have not yet confirmed as Honeycutt, seems to have fired on the responding officers and barricaded himself inside a house. No officers were injured. US media report this was Honeycutt's residence in the Sherman Oaks area of Los Angeles. After a prolonged standoff, SWAT teams entered the house early on Saturday morning and found the suspect "unresponsive". While initial reports suggested Honeycutt may have been hit by police fire, the LAPD tweeted that the suspect "sustained injuries consistent with a self-inflicted gunshot wound".